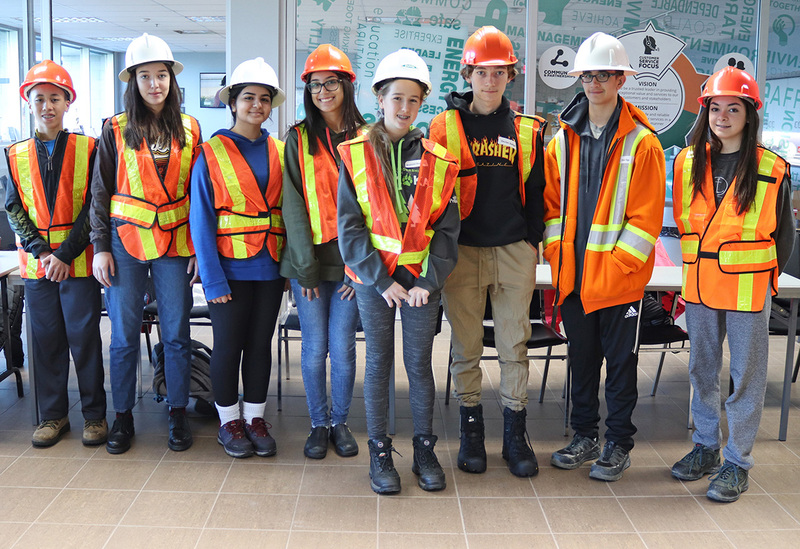 Windsor, ON: For area high school students, it's safe to say that a typical school day rarely consists of driving a front-end loader, operating a backhoe or descending into a manhole. That's exactly what ENWIN offered eight Grade Nine students who visited our facilities yesterday, as part of Take Our Kids to Work Day. Through site tours, a safety presentation and interactive job site demonstrations, the students gained hands-on experience and insight into what our electricity and water personnel do on a daily basis. 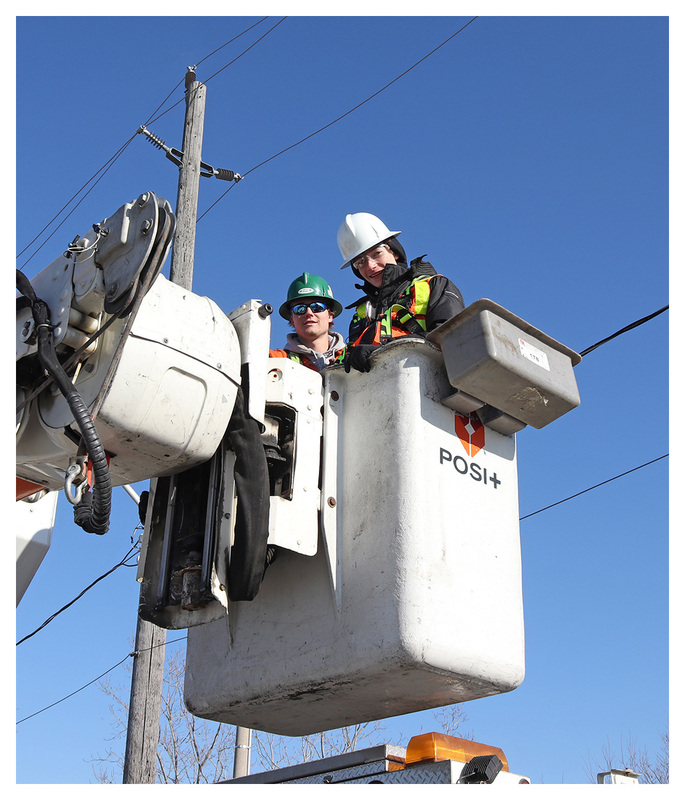 The day’s learning included overhead and underground electricity and water operations and lessons in on-the-job safety. 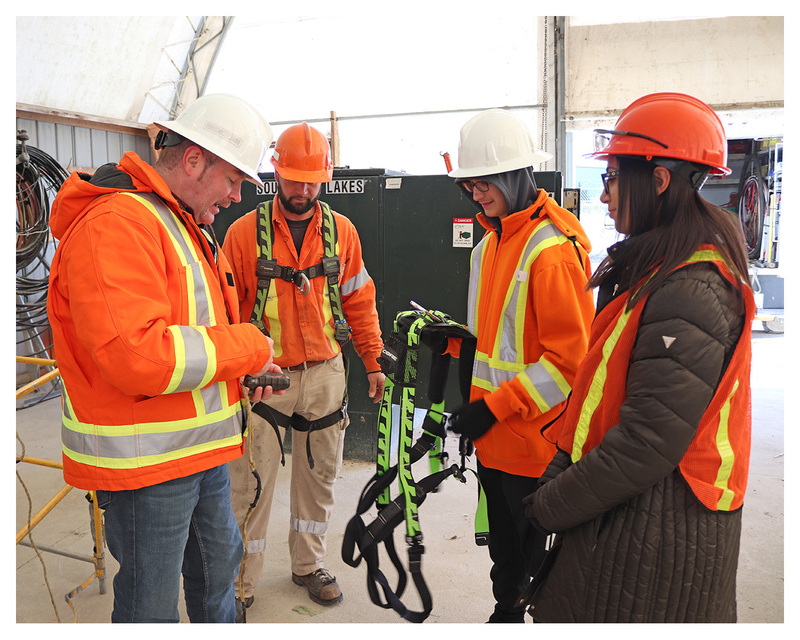 The students were active participants, eagerly awaiting their chance to try the various tasks including crane operation, switching, driving and operating heavy machinery -- and of course, harnessing-up to take a ride in an ENWIN bucket truck. The students showed tremendous enthusiasm throughout the day, and asked our water and electricity professionals a variety of questions regarding their work. 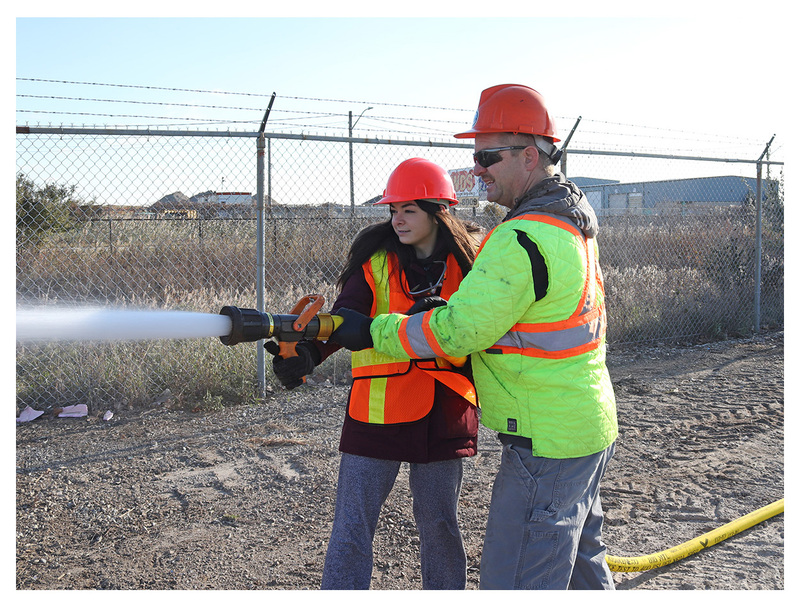 ENWIN is proud to take part in this educational initiative, which provides students with a look at our workplace and demonstrates the wide variety of career options our utility has to offer. Many thanks to staff who took part in planning and participating in the successful day.